If you are looking for Certificate of Origin templates, then you are on the right page. 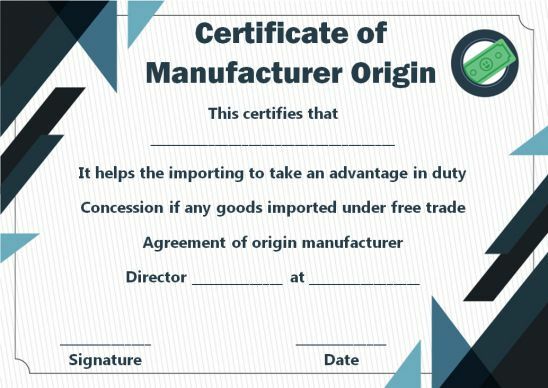 In this page, we have presented such ready to fill Certificate of Origin templates. Most importantly these are free printable templates that you can download from anywhere and use instantly. Though it has been structured with all the necessary details to be filled, it is always possible to customize and modify the structure depending upon you company and export norms. However, it is important to follow the regulations and check if all the data elements are included as part of the template and fill accordingly. 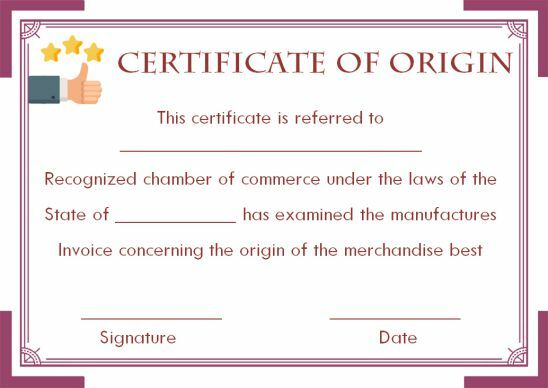 Certificate of Origin is an important document in international trading/shipment. 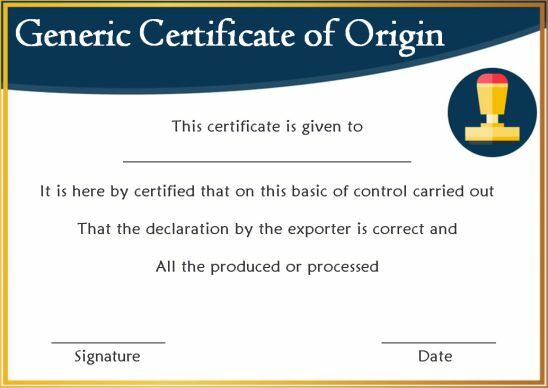 Certificate of Origin is the document to specify the origin of the goods in an export shipment. It is a declaration from the exporter that the goods are entirely produced, manufactured or processed in a particular country. Also it is one of the most important document that is required during the customs clearance in the importing countries. 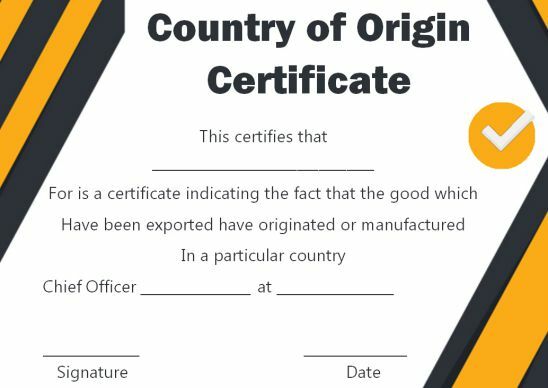 Now coming to the types of certificate of origin, in this section we shall in detail look in details about the types of certificate of origin. 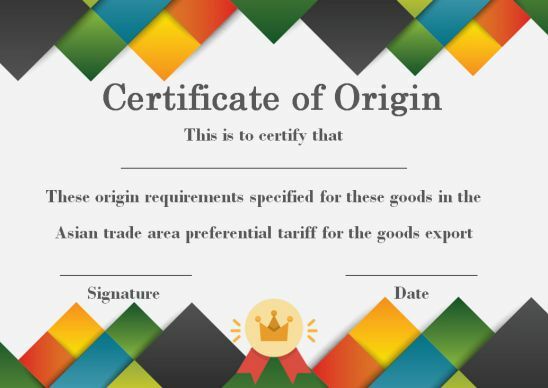 There are basically two types of certificate of origin, 1) Non-Preferential and 2) Preferential apart from these Regional declinations and Electronic certificates of origin are also types of certificate of origin. Non-Preferential origin indicates that the goods involved in trading does not qualify for any reduction in the tariff or for any tariff-free treatments under the trade plans between the countries. 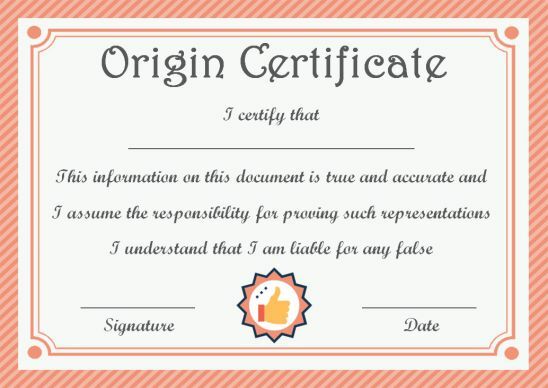 This is also known as “Ordinary Certificate of origin”. This type is followed in most of the trading. A preferential certificate of origin indicates that the goods involved in trading qualifies for any reduction in the tariff or for any tariff-free treatments under the trade plans between the countries. On fulfilling certain criteria set by the origin protocol the goods are allowed to claim preferential rates of duty. Various countries have their own criteria set for the Preferential Origin. Due to the huge increase in the trading between multiple countries and wide range of taxes and tariffs, a large number of different forms have come out and being used as the certificate of origin in the day today international trade according to their regions. However all the certificate of origin still continue to use the similar template with all the necessary information. Millions of certificate of origin forms are being issued by the chambers of commerce every year. In order to take it forward to the next level and to be in-line with the e-business, Electronic Certificate of origin (so called ‘eCO’) are being implemented. In order to improve the efficiency with a secure trading this helps along with addition benefits of time saving, cost effective and increased transparency. 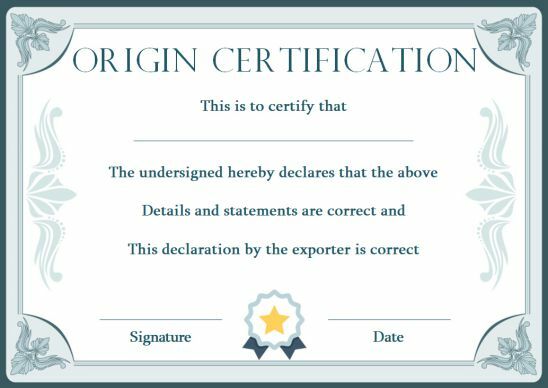 Considering all these facts you can download and make use of any of the Certificate of origin template in this page for free and enjoy trading with safe and secure agreements. 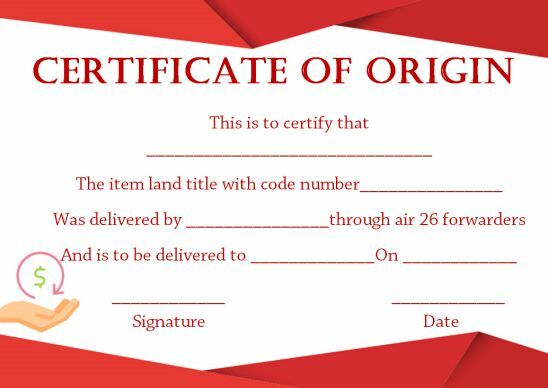 Certificate of Origin Number is a unique identity Number for C.O issued by the organization. Certificate number needs to be specified in all the C.O’ issued. If any C.O is issued without Certificate of origin number then it will be consider invalid and cannot be used for shipments. The general Certificate of origin template can be used by all the countries in the world. There may be additional standards that we need to follow depending upon the exporting and importing countries along with the trade regulations. Coming to the imports from china there are various standard FORMS that we need to consider for trading between china and other countries as specified below. We has collected and presented all the templates for your perusal, you are free to download any template according to the country and use it as per your requirement. NAFTA – North American Free Trade Agreement, is a form specially agreed and created for Canada, Mexico and the United States to certify that their goods are qualified for preferential treatment fulfilling the norms of NAFTA. Exporters from these three countries must compulsorily fill this Certificate of Origin for their goods. 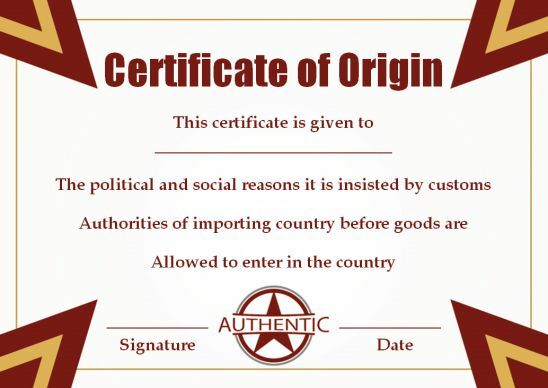 A Blanket certificate of origin can be obtained for repetitive shipment of the identical goods sent to the same importer or buyer at regular interval. For example, if an importer is buying 1000 shoes monthly, then the exporter can obtained this blanket certificate of Origin instead of separately obtaining every time. The exporter can mentioned the period during which it is effective according to the shipment. UPS provides lot of shipment services through all means, and help import/export products and known as the world’s largest package delivery company. 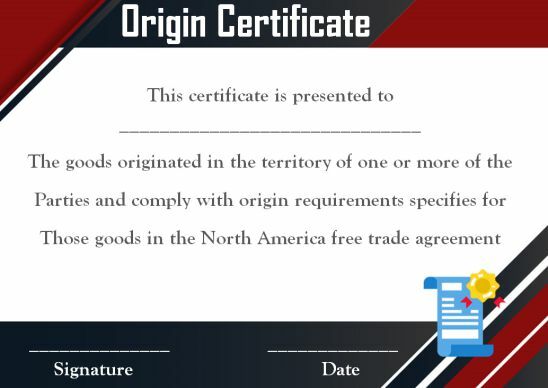 This certificate of origin from UPS are specifically meant for the goods that has the U.S. or Puerto Rico as the origin and also for those who complete their forms online with the seal and authorization for the appropriate organization. If in case the goods are from Canada and Mexico, then NAFTA certificate of Origin should be used. 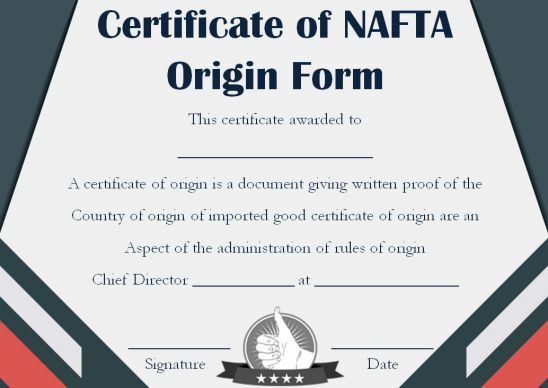 We have provided the blank certificate of origin forms in this page which you can download and utilize for your shipment buy just filling in the details. Do remember that the amount mentioned in the invoice and the certificate of origin forms needs to be the same. Certificate of origin for a vehicle is the Manufacturer’s Statement of Origin (MSO) which is like the Certificate of Title issued for the Vehicle by the local Department of Motor Vehicles (DMV). Any vehicle manufacture needs to issue a C.O. to the dealer who purchases the vehicle. In turn the dealer will provide it to the person who buys/owns the new vehicle, which the owner submits it to the local DMV during the vehicle registration. At times when the dealer take care of these internally. The local DMV will issue a certificate of origin to the vehicle owner. We can simple say it as a “Birth certificate” for the new vehicle with its unique information. 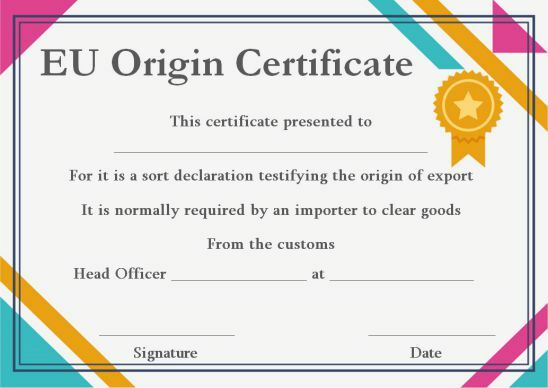 As explained above a certificate of origin is a must document for any goods exported from a country to ensure and specify the origin of the goods and materials being exported. 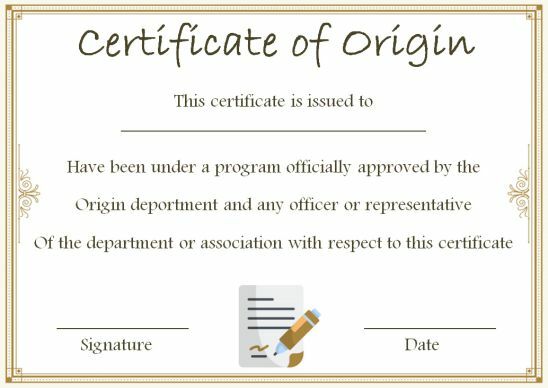 Having said that, in order to save your time and make your work easy we have presented many simple and easy to fill Certificate of origin templates. You can download these blank template for free and fill in the required information, get it attested from the appropriate organization and use it for your export purpose. 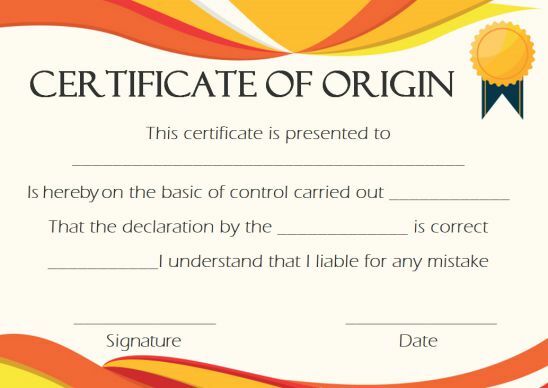 Before looking into how to fill the certificate of origin first we shall see few instructions on how to obtain it. There may be changes depending on the place and country, but given below are the general rules that can be followed to get the C.O. Fill out an appropriate affidavit with all the details and have it attested from the right person. Have the manufacture invoice for the vehicle/materials or a commercial invoice for any other goods notifying the details from where goods are manufactured. With these three documents (attested affidavit, filled in certificate of origin form and Invoice appropriate to the goods along with the shipment information) you can approach the shipment organization and get the C.O. stamped for your export. It is possible to send these documents through email as well. But if it sent through email it is good to mention or indicate which document needs to be stamped. In certain countries they might get extra fee for stamping. These are the usual instructions to be followed to obtain a certificate of origin document which is always subject to changes depending upon your country. 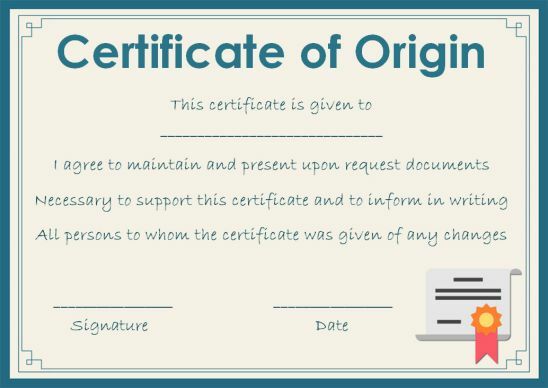 In this section we shall discuss in detail about the different segments in a certificate of origin document and what to fill in that. Certificate No. – This is the reference number of the C.O. If this column is blank then the C.O will be rejected. Exporter (Name and Address) – Indicate the name of the exporter. Specify exporter’s address in details including state, city and country name. Producer (Name and Address) – If the exporter and the producer are different then mention the details of the producer and attach the relevant documents as well. If there are more than one then mention the list of all the producers and their name and address details including their country. Consignee (Name and Address) – It is the name of the importer or the buyer along with the address and contact information. If the exporter or producer wants it to be as blank then it can be mentioned as “To the buyer” or “To Order” or any other relevant phrase say it as unknown. Blanket Period – This is applicable only if you are doing several shipments to the same importer with same set of goods at the specified regular time intervals. Mention the duration within which these shipments is acceptable. FROM INDIA TO NEW York VIA DUBAI. Marks and numbers – Highlight if any specific markings are number needs to be done for handling the goods depending upon the type of goods shipped. Country / region of destination – This indicates the country or place where the goods will arrive. For office use/For certifying authority use only – this is generally left blank as this is supposed to be filled by the C.O issuing organization post confirmation and verification of all the details and check if they have met/satisfied all the condition. Number and kind of packages/ description of goods – Mention details of the goods like all the materials sent in that shipment. S. Code/Tariff classification Number – Indicate the 10 digit Number covered under the H.S tariff classification number according to the goods being imported or exported. Quantity – Denote the number of quantities and total measurement/gross weight of the goods sent. Certification – This is to be filled manually by the C.O issuing organization upon checking the details and authorize it with the seal. Using the above given details you can fill in any C.O and there may be few items extra depending on the country from where you export and import.